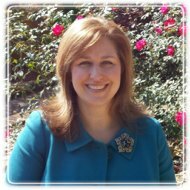 Alpharetta Therapist: Kara McDaniel - Therapist 30022. Over the past 18 years, I have had the wonderful opportunity of doing what I am most passionate about which is supporting clients through their life's journey and helping to guide them in discovering their unique path in life. There is no doubt that life can be extremely difficult and present us with many challenges. It would be an honor to have the opportunity to walk beside you as you explore and overcome the stressors and challenges you may be experiencing at this time in your life. With specialized education and training in Marriage and Family Therapy and Medical Family Therapy, my work focuses on helping and supporting individuals (adolescence through aging population), couples, and families. Furthermore, if you are experiencing stress associated with chronic illness, medically related conditions, and/or making lifestyle changes, I am here to help support you! Don't delay in taking the next step in Discovering Your Unique Journey in Life! Call today, (678) 430-8089, for your complimentary phone consultation.